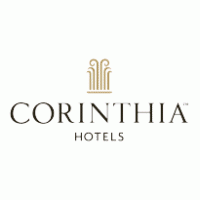 Find here Corinthia coupons and deals. The Corinthia Hotels are a collection of individually-designed luxury five star hotels all over Europe. The family-run hotel company was founded over 40 years ago with the opening of the Corinthia Palace Hotel & Spa in Malta. Nowadays Corinthia manages 12 hotels in 9 different destinations: London, Malta, Budapest, Prague, St Peterburg, Tripoli, Lisbon and Taormina. Each of the luxury hotels and resorts is a tribute to local architecture and cultural traditions and they are all situated in exceptional locations in the most exciting destinations and vibrant cities. The Corinthia hotels offer an authentic design and an exquisite personal and warm service that makes every guest feel comfortable, valued and special. All hotels offer a generous and comfortable equipment as well as magnificent highest quality facilities.